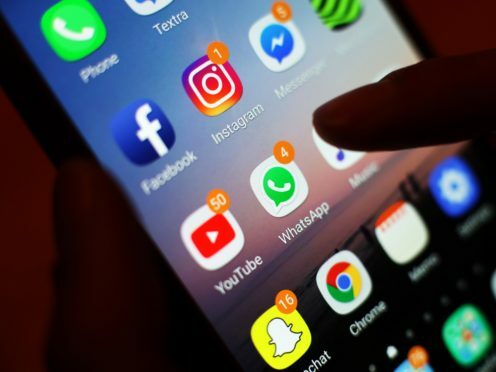 Social media platforms are behaving like “digital gangsters” and should be forced to comply with a regulated code of ethics to tackle harmful or illegal content on their sites, a Commons committee has demanded. In a major report, MPs also warned that democracy is at risk from the “malicious and relentless” targeting of citizens with disinformation and adverts from unidentifiable sources, as they called for reform to electoral communication laws. The Digital, Culture, Media and Sport Committee singled out Facebook for criticism, accusing it of being “unwilling to be accountable to regulators”, and rounded on its chief Mark Zuckerberg, who was accused of showing “contempt” towards the committee by choosing not to appear before it last year. The report also said ethics guidelines are needed to set out what is and what is not acceptable on social media, including harmful and illegal content that has been referred to the platforms by users or identified by the companies. If tech firms fail to meet their obligations under the code, then an independent regulator should be able to launch legal proceedings against them and have the power to issue large fines, the MPs said. In response, Facebook’s UK public policy manager Karim Palant said: “We share the committee’s concerns about false news and election integrity and are pleased to have made a significant contribution to their investigation over the past 18 months, answering more than 700 questions and with four of our most senior executives giving evidence. The report is the latest attempt to crack down on social media networks, and follows accusations from digital minister Margot James that some firms show little regard for the security and safety of some of their more vulnerable users. The issue has come under increased focus following the case of schoolgirl Molly Russell, who took her life aged 14, after her family found material relating to depression and suicide when they looked at her Instagram account following her death. “We need a radical shift in the balance of power between the platforms and the people. The age of inadequate self-regulation must come to an end. A Government spokesman said: “This week the Culture Secretary will travel to the United States to meet with tech giants including Google, Facebook, Twitter and Apple to discuss many of these issues.